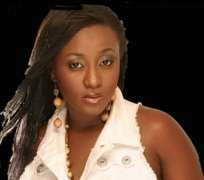 Nollywood actress,Ini Edo may have lost in her bid for the crown as Nollywood best dressed actress (according to most voters on http://www.nollywoodgists.com) but she seems to have won completely, the heart of Phillip, her United States of America based lover boy. Reports monitored in this week's edition of Encomium magazine stated that Ini and Phillip have concluded arrangements to say 'I do' at a talk of the town wedding slated for September 2008.We also gathered that the traditional wdding engagement would hold on 30 August 2008. We gathered a water tight security arrangement would be put in place to forestall any act of break down of law and order by those who believe that they have been unfairly treated by the two lovers.